Tanzania Stick Flag - 4x6"
Tanzania flags have a history that is much longer than that of Tanzania itself. Tanzania is a young nation, but the countries that merged to create it had a long history of representation by colonial flags. Those countries also had national flags during the brief period between their independence from their colonial overlords and their merger to form Tanzania. Tanzania flags feature a thick black band with a yellow border that divides the flag diagonally into two portions. The upper portion of the flag is green, while the lower portion is light blue. The green section of the flag is a symbol of Tanzania's agriculture and its natural wonders, while the blue section represents its lakes, rivers, and the Indian Ocean. The black band represents the nation's people, and the yellow bands are symbols of the nation's mineral wealth. 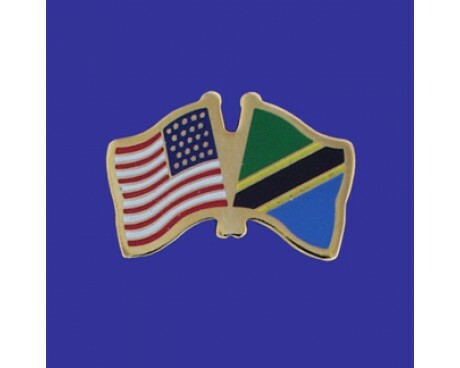 The colors come from the flags of Zanzibar and Tanganyika, which merged to form the nation. The combination of colors used in the flag of Tanzania is thus a representation of the combination of people that form the modern country. The people of Tanzania spent many years as part of European empires. The German Empire maintained control over part of the nation as German East Africa from 1891 to 1919, and during that time the territory used the flag of German East Africa. A Teutonic Cross dominated that flag, and it also had a red square containing a depiction of the Southern Cross in the canton. A British colonial flag replaced it in 1919 within the boundaries of Tanganyika. The flag had a solid red field with the Union Jack in the canton and the seal of Tanganyika in the fly, which was a giraffe's head on a white disc. The Sultanate of Zanzibar used a solid red field as its flag when it was a British protectorate from 1896 to 1963 rather than a more traditional colonial flag. The nations gained flags of their own when they left the British Empire. 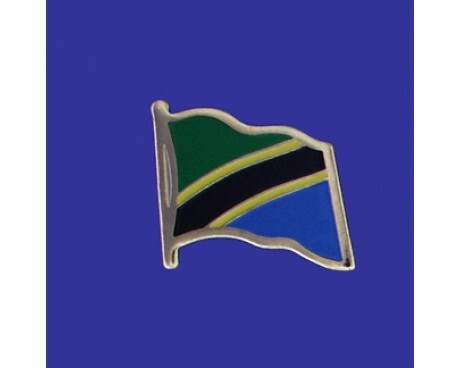 Zanzibar added an emblem to its old flag in 1963 that depicted two cloves on a green disc, which was replaced by a tricolor of blue, green, and black in 1964. 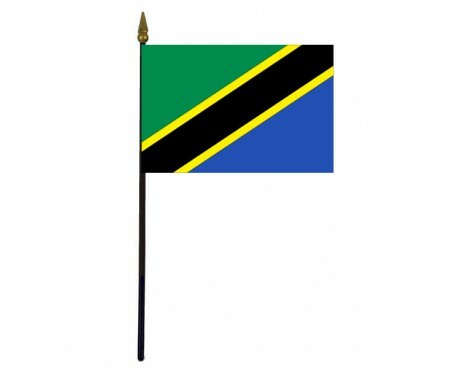 Tanganyika adopted a new flag in 1961, which featured five bands of green, yellow, and black. The countries and their flags merged in 1964 to create the modern nation of Tanzania and its current flag.